Sunrise: February 16, 1928 - Sunset: November 25, 2018. 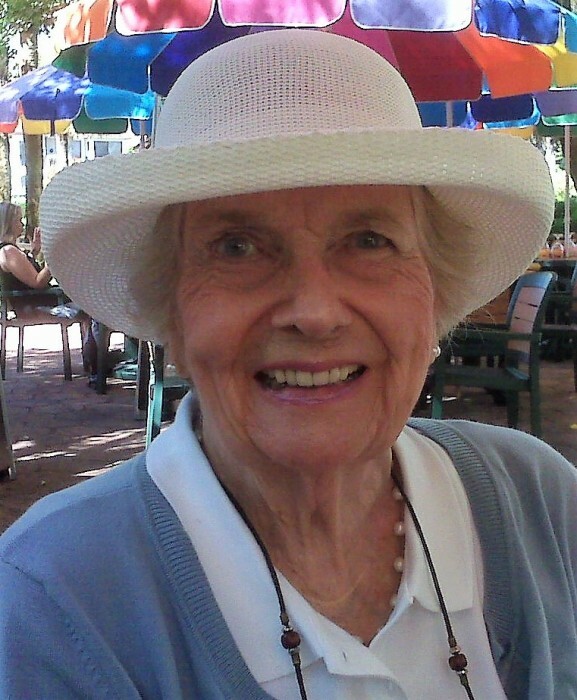 She was a devoted Glen Ellyn, Illinois resident for 31 years and a member of First Presbyterian church where she served as a Deacon and Elder. Eileen was born in Buchanan Saskatchewan, Canada, to Bert Ericson and Molly O'Leary Ericson. They moved to Cleveland when she was young, lived on a horse farm and has fond memories of her father as the Estate Chauffeur. Eileen excelled at theater in high school and went onto become a professional singer and model. She met her knight in shining armor on a blind date in Cleveland. He swept her off her feet, and after a short courtship they rode off into the sunset. They were married in 1953. They have traveled all over the world and just celebrated 65 years of wedded bliss. (Literally) Madly in love. Her 3 children, Bob (Jodi), Cindy and Laury(Dan) and her 3 Granddaughters Lyndsay, Keri (James) and Caitlyn will carry on her legacy. She was motivated and magical, feisty and fearless, talented and tenacious. She was our Mo, Mom, Moochie, Mama and Grammy. So, here's to fairy tea parties in the forest, cardboard table forts, particulars, homemade prom dresses and costumes, marching through the house singing to the top of our lungs, Christmas decorations (awards), gnome gardens, MOVING, love notes on our school lunch napkins, tole painting, chicken on Sunday, bobleenmuffdeebo, blanket picnics in our vacant houses, Cider and cookies at McChesney's, made up words, cocktails at the door, Spare ribs and Sauerkraut, singing Grace (2 versions), Sanibel, Schmooshels, Schmoochies and Snuggles, 3 squeezes, or 4, "save some for Daddy" and on and on. She was magical. She was loved. Attention Develop Department, Nancy: 630-725-2027. Service will be held December 5, 2018 at 12:30 PM at First Presbyterian Church (550 Main Street, Glen Ellyn) in the sanctuary.